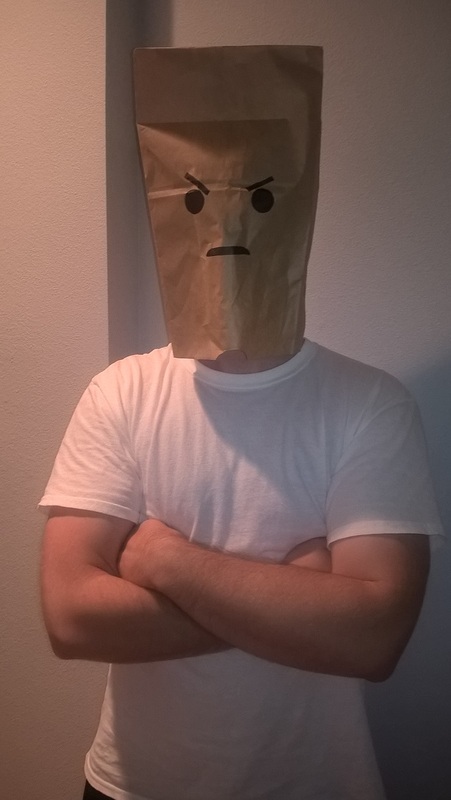 Hi, it’s time to introduce you to my supposed friend and more strict barbecue critic BBQGrump (Get away from my pits you crazy kids). BBQGrump fails to see the positive side of much in the barbecue world and is a general Debbie Downer/Doubting Thomas. As I started my path down the trail of sausage making, his incessant phallic innuendo was nearly too much to handle. However, he began a conversation around Houston sausage and I let him rail on for a bit. He guest wrote the following while I edited out most of the profanity and incoherent sentences. Houston and Sausage, What’s the deal? 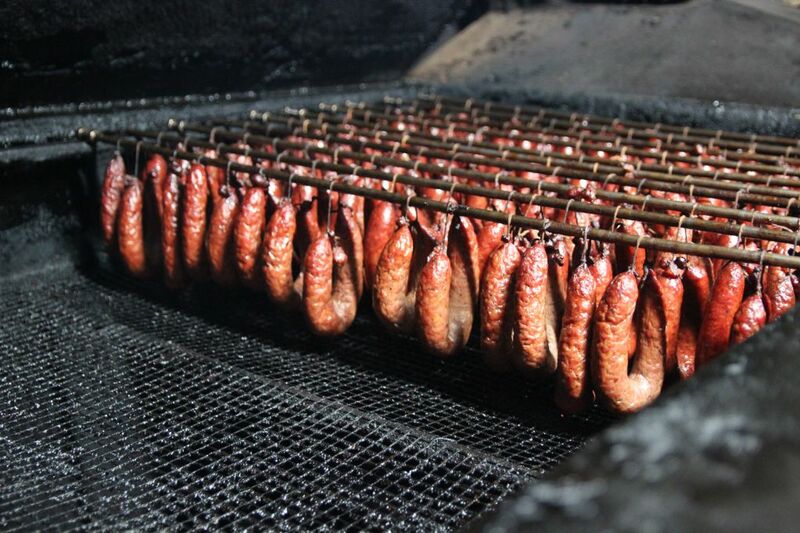 If you look back on the barbecue traditions in Texas, you don’t see house made bread or carefully crafted sides (I call this Hipster barbecue and also believe it to be the future direction of Texas barbecue, but it does not qualify as traditional by any means) but what you do see is sausage made on site. The traditions from the meat markets included sausage. Primarily this was done to reduce waste of trimmings, and the percentages of beef and pork would vary daily based on that day’s output of sales, but in house sausage was just as much a part of old school barbecue as the smoke meats themselves. 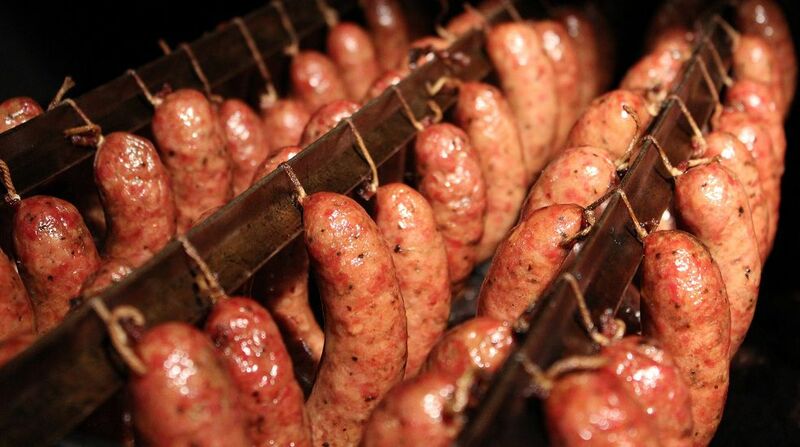 The art and craft of barbecue includes sausage making. 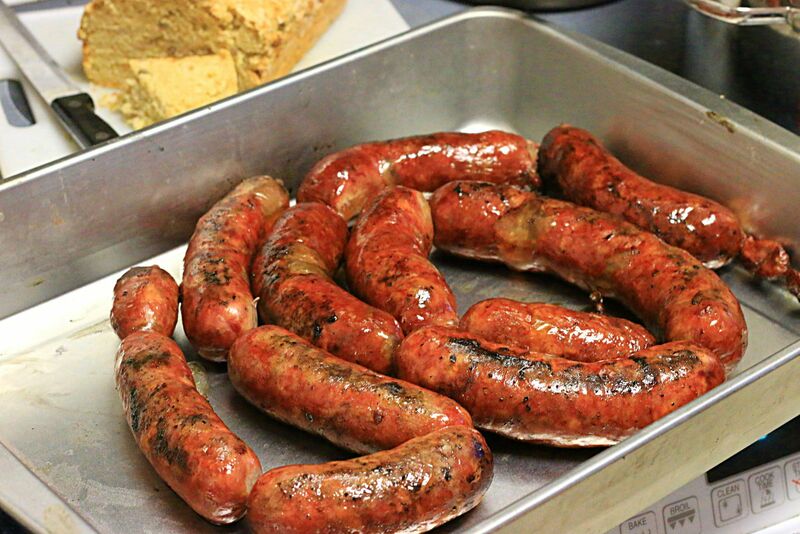 Whether it is romancing the concept of a wise old pit master who harbors the ‘secrets’ to smoked meat perfection or the direct linkages (yes, pun intended) to the old school and even old world methods of smoked meats, handmade sausage has been there for hundreds of years. The spice mix, the multi stage process of grinding and falling, the hand twisting of links or rings, and the staged smoke process all exude the qualities of craftsmanship. There can be some personality in a brisket rub or a custom sauced used on ribs, but nothing is as personal as the art of sausage making. 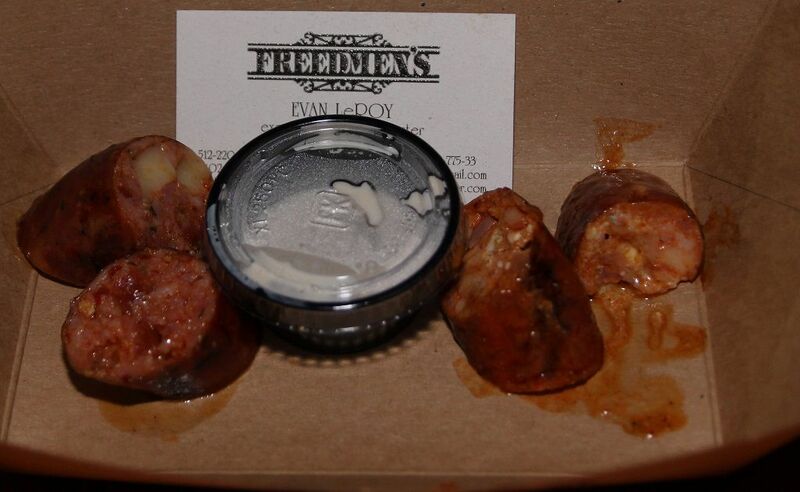 The sausage purveyors in the Houston area do not make particularly bad sausage. Some is quite good and I’m especially fond of the deer sausage from B&W but even though they offer many varieties much of the sausage has a similar texture/grind, juiciness, and a similarity in flavors. 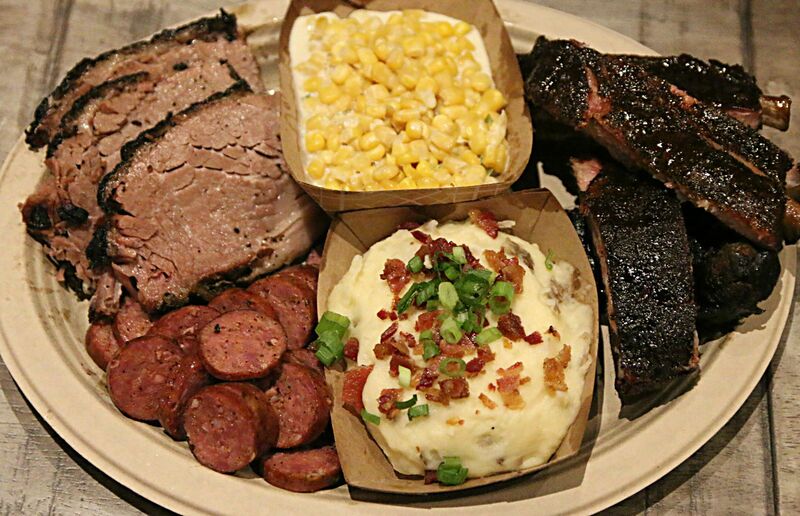 Some are using Ruffino Meats out of Bryan, Texas.. Take 5 different barbecue joints in Houston who do not make their own and swap the sausages around. See if anyone notices.Even though at least one joint is going to the efforts to import Mikeska sausage all the way from Taylor It is still hard to tell a significant difference across the board. 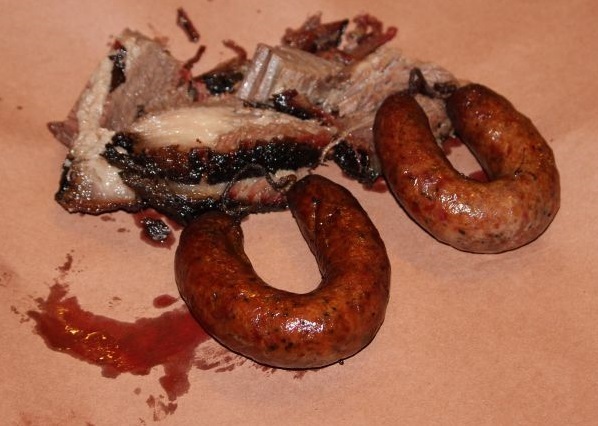 In Austin, the sausage at la barbecue is distinctly different than Micklethwait, which is different than Freedmen’s. I won’t profess to be able to tell which is which blindfolded, but there is absolutely variety between them. 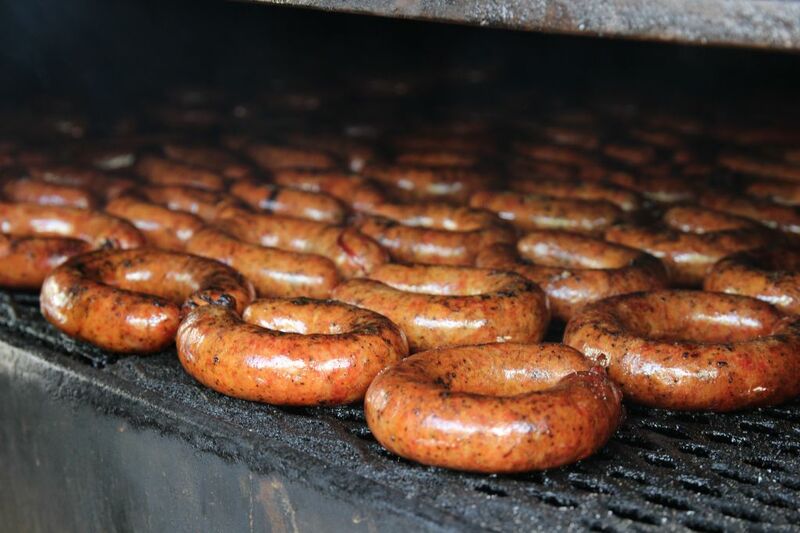 Schmidt Family Barbecue and Black’s Original in Austin both serve Lockhart made and smoked sausage that each have their own unique flavors. 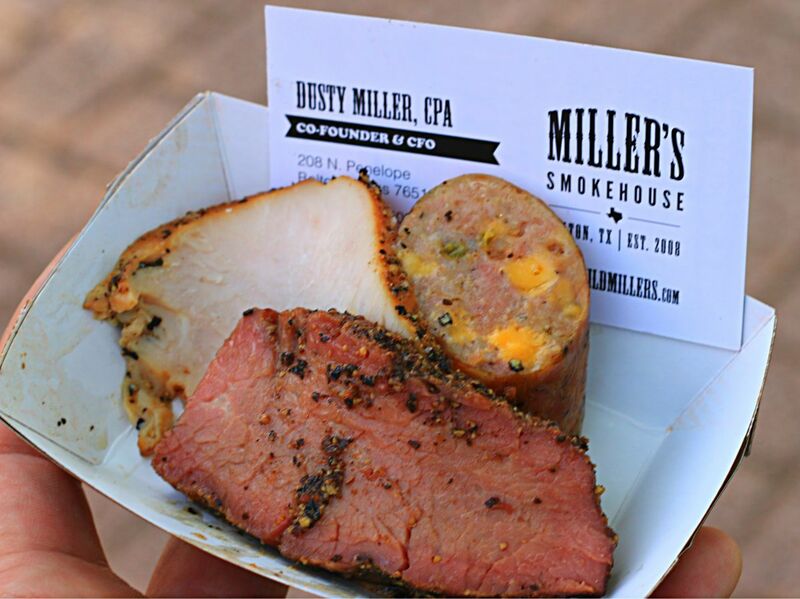 Particularly in Austin you will find cutting edge (and beyond) sausage experimentation, and we’re not talking about 4th street after midnight. Nearby there are great options in Lockhart, Luling, San Marcos, Elgin, and Taylor. Look,Austin is a nutty city and all and worthy of sausage fandom, but they need to get over themselves. You shouldn’t have to try that hard to be weird – Houston has lots of weirdness and we don’t need a t-shirt slogan to promote it. 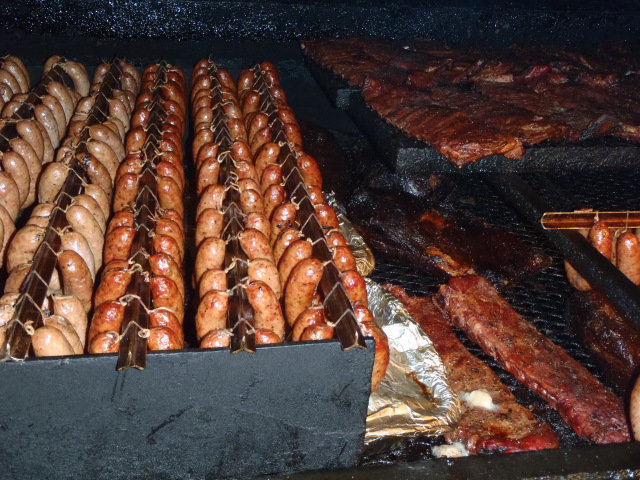 Houston has a history of barbecue but since 2009 or so Austin has had the spotlight. Houston pulled it away a bit in the #riseofhoubbq over the last two years but Houston is sorely lacking in craft sausages. Houston has never been a big recycle/eco city and will probably never be. It’s a combination of the energy/oil companies that have headquarters here and the large area that make it difficult for electric vehicles to be successful. With so many trucks on the road, even small fuel efficient cars are scoffed at as slow and unsafe. While in reality it’s the heavy truck that is dangerous, in this area NOT having a heavy vehicle is dangerous, and while it’s rare to see a large truck carrying anything more than one occupant and an empty bed, you won’t rip those out of our hands anytime soon. Becase ‘merica. and Texas dammit. The waste and recycling I am alluding to though is from the trimmings at a barbecue joint. These are tossed in the trash daily rather than being partially recycled into sausage. Maybe it’s not enough to sustain a full day’s worth of sausage and there are some trimmings too fatty to use even for sausage, but it’s basically throwing potential profit down the trash. Some is reused in beans and other side dishes and some joints toss more fat into the chopped beef than they probably should, but overall there is a lot of wastage. Some Houston joints do roll their own. Killen’s is probably the highest volume and if Ronnie and team unleash his turkey sausage on the public then I recommend running there and getting some as soon as it’s available, yes even all the way to Pearland. Newcomer The Pit Room has promised to make their own, and El Burro and the Bull is cranking out good stuff daily. Rays, SouthernQ and I’m sure a few others I’ve missed make a beefy garlicy hot link style sausage that I do like, but they tend to all fall into a similar taste category. Something that doesn’t get as much press as I’d like, in-house made boudin at a handful are also very tasty and although pictures rarely do justice to the qualities of a nice link of boudin suffice it to say that SouthernQ is my personal favorite. They even kick up some crackers with their own seasoning that adds to the experience. 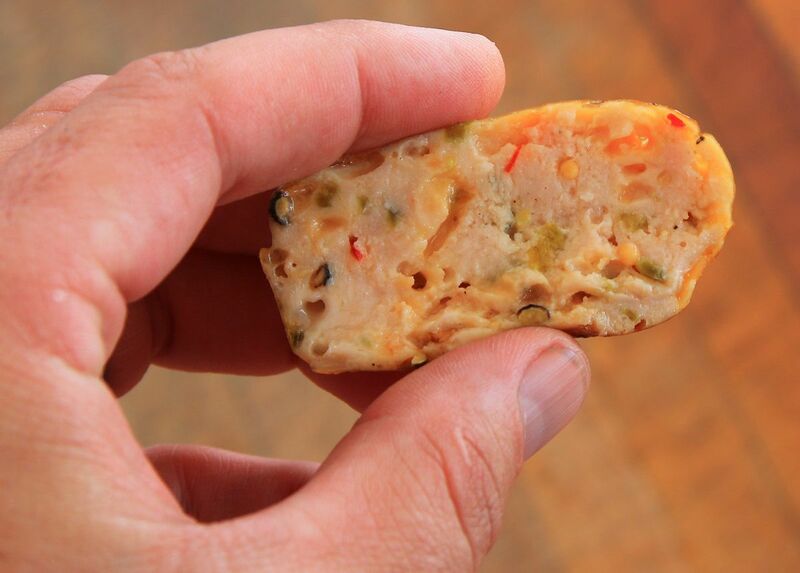 Boudin is where Houston can shine, Austin just doesn’t seem to have accepted it just yet. I will give a shout out to Brotherton BBQ, because if you can get hold of their crawfish etouffee boudin it will change your life. 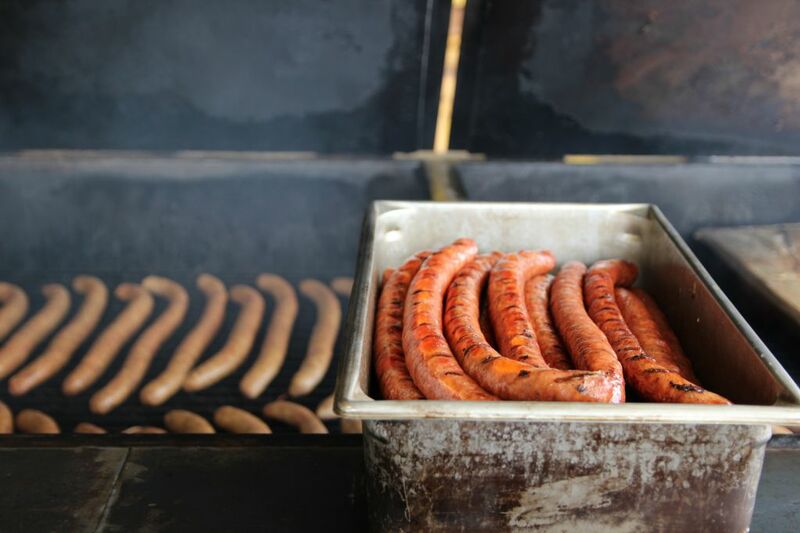 A little outside of Houston you can find quality handmade sausage at Truth BBQ in Brenham and genuine Lockhart made sausage at Kreuz Market in Bryan. Maybe one of the things that holds some back is the food safety aspect. Grinders must be broken down and intensely cleaned, not just daily but if usage extends beyond much time at all. Simply storing the metal parts in the freezer is not proper practice. Meats must be kept below 40 degrees to prevent growth of bacteria, but also not too cold as it affects the taste. This means meats usually will need to be put back into cold storage in between the steps and given time to cool. Many times a bit of a curing agent can be added for insurance, although careful processes can negate its need, but on the opposite side too much cure is also dangerous.Rule number one: don’t kill or harm your customers.